For 40-year-old graphic designer and children’s book illustrator Dave O’Neill, a lot has changed since his days at William Paterson University. A 2001 graduate, one of O’Neill’s most memorable experiences took place his senior year at Ben Shahn, where he found himself working on a senior thesis with a group of close friends. Despite the workload and the anticipation of presenting their work, O’Neill expressed he wouldn’t change a thing. Like most college students, O’Neill was not sure of what he wanted to do with his degree. He said via email that he knew he wanted to draw or design. After graduation, O’Neill didn’t begin working in the field of illustration right away. He worked for a small advertising agency in Montclair called BrandStreet. Shankman reached out to O’Neill after he landed a contract with a small regional publisher. O’Neill recalled that Shankman contacted him and asked, “hey do you still draw?” In 2007, they began what was a three-book contract and this year, they will release their 10th book. In their library, they currently have two award-winning books, “I Met a Moose in Maine One Day” and “Where’s the Bathroom?” For “I Met a Moose in Maine One Day,” O’Neill traveled to Maine to take pictures for references. When drawing for a new book, he said he uses hand-drawn storyboards, character design and “pencil on paper” before the drafts are scanned, inked and colored in Adobe Suite. O’Neill has been illustrating children’s books for about 11 years now, yet is unsure if he will ever settle on one style. The reason for this is O’Neill enjoys trying new things. He also believes each book is distinctive. Although he may never settle on a style, his style continues to evolve and he’s become knowledgeable on many aspects of illustration he wasn’t aware of before. When he began illustrating, he would often “overwork everything.” Now, he said he’s become content with the idea of simplicity. From their library, the book he is most proud of is “Where’s the Bathroom?” O’Neill said it is the funniest and weirdest story Shankman has written. He also feels that he “nailed the comic style, visually.” As a bonus, his 4-year-old loves it. O’Neill’s new project is a collaboration with composer and lyricist Rob Rokicki. 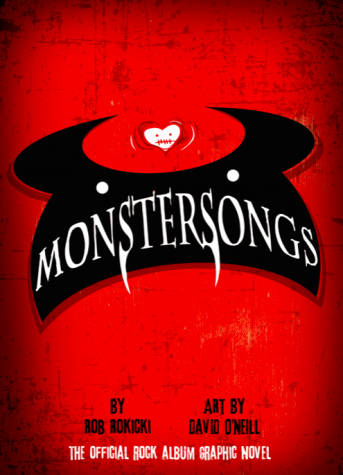 The project is called MONSTERSONGS and is a rock musical accompanied by a graphic novel to read along with. The project, which has taken four years to finalize, has 120-plus pages of original monster art with the reference of Rokicki’s songs. The rock musical will be featured in this year’s National Theater Alliance’s Festival of New Musicals. 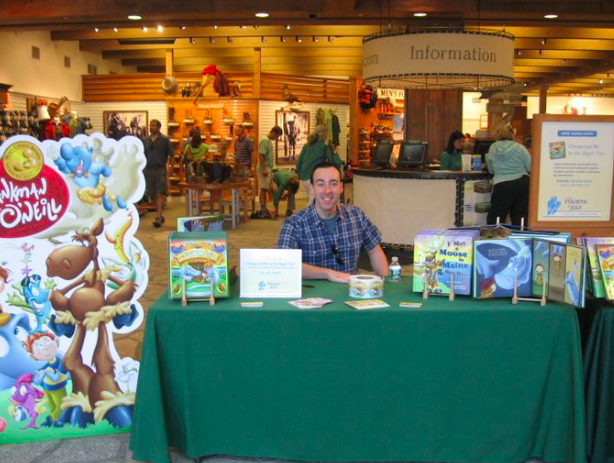 O’Neill has become a successful graphic designer and children’s book illustrator. He believes in being kind to every person one may encounter and emphasized to never “ever, ever ,ever” burn bridges no matter the situation.